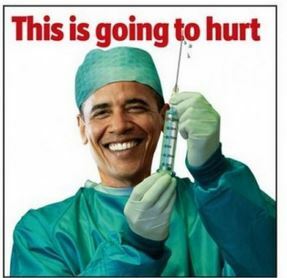 With the stroke of a pen and an utterance from the president, Obamacare’s employer mandate has been postponed yet again, this time until 2016 for some businesses. Headlines across the nation from the mainstream media have praised the delay, declaring it advantageous and good for the nation. If it’s “good for the nation,” why don’t we just delay it indefinitely? The problem with 2,400 pages of legislation is not what politicians promise the legislation will do, but what it does in reality, including the creation of nearly 40,000 pages of regulations affecting our health care. And the reality with the Affordable Care Act (ACA), as we’re witnessing nearly daily in financial media, is devastating for the economy, the middle class, and our healthcare system itself. The ACA (Obamacare) was sold to us on the basis that there were 40 million Americans without health insurance and that the Act would rectify the apparent inequity. That actually is the first broken promise of Obamacare. 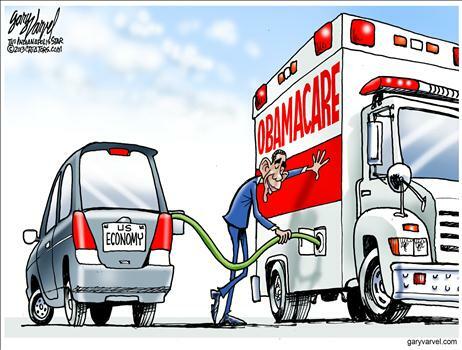 The Congressional Budget Office (CBO) admits that after 10 years of implementation, Obamacare “will still leave 31 million uninsured.” And we’ll have spent $1.93 trillion failing to achieve the primary objective of the Act! And that new dollar figure from the CBO is still likely an underestimate since they’ve revised the figure upward three times already. The new requirements imposed on employer sponsored insurance (ESI) plans will make the costs increase significantly for employers. Many employers will discontinue their plans altogether, forcing employees to the state exchanges to buy their insurance for themselves. Last June, McKinsey & Company released results of a study that found, “Overall, 30 percent of employers will definitely or probably stop offering ESI in the years after 2014. Among employers with a high awareness of reform, this proportion increases to more than 50 percent, and upward of 60 percent will pursue some alternative to traditional ESI.” This contrasts sharply with CBO’s original estimates of 7% of employees losing their current ESI, and the president’s promise that none would. Those who will be able to retain their current plan will see significant changes. According to the National Business Group on Health, 30% of all companies with ESIs are considering dropping coverage for retirees and over 50% are considering dropping spousal coverage. And it’s not just the private sector, as local governments are looking at the same solutions. The mayor of Chicago, Obama’s former Chief of Staff, Rahm Emanuel, is planning to drop 30,000 city retirees off of the city’s ESI and push them into the exchanges to buy their own. He projects a savings of $108 million per year. Promoting the passage of his signature legislation, President Obama vowed, “that my plan will reduce the cost of health insurance by $2,500 for average families.” But according to Investor’s Business Daily, since Obamacare passed, the cost of an average family policy has already increased by $3,000, because of the new regulations and mandates imposed on providers and insurers. All the new regulatory requirements are causing health insurance premiums to soar even more, especially for younger and healthier individuals. After all, the government subsidies will pay for the added expense of covering preexisting conditions, which was forced by the ACA. Holtz-Eakins’ American Action Forum analyzed insurance premiums in five major cities, and calculated that Obamacare mandates will cause premiums to increase additionally an average of 169%. As of February 1, 3.3 million Americans have signed up. But how many of those are people like me who lost their insurance because of the new coverage mandates of the ACA? The White House estimated 41 million Americans would lose their coverage. And how many are losing their jobs because of the ACA? The Congressional Budget Office just updated their figure to over 2.5 million. How many are losing work hours and facing reduced income due to the Act? According to financial media, millions. There are a few success stories that are shared anecdotally to make us “feel” better about the consequences — intended and unintended — of the ACA. But at what point do we say as a nation that the cost to the whole is too great for the benefit of the few? It’s time for government to start using cost-benefit analysis, for the ACA would dramatically fail all such tests. And when the damage is much greater than the benefits, it’s bad legislation, regardless of whose name is on it. This brings us back to the original question. If delaying the full effect of the ACA is good for the nation, why not delay it indefinitely?